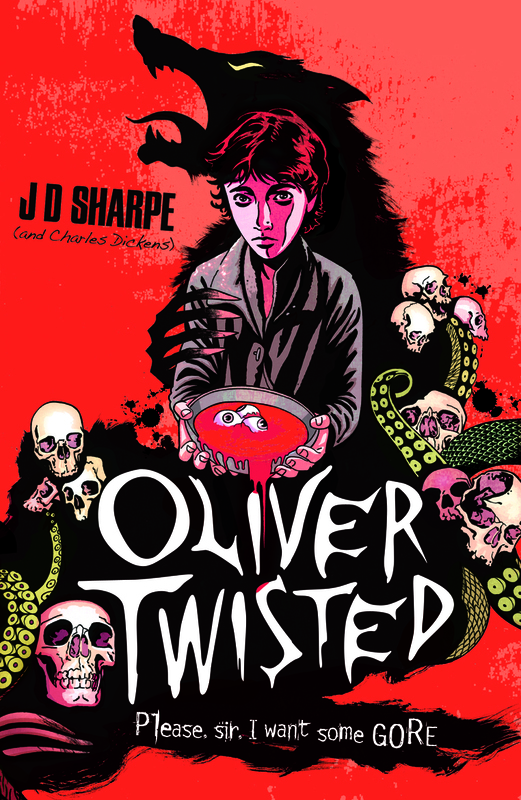 As the penultimate stop on the Oliver Twisted blog tour, I am extremely happy to welcome debut author JD Sharp to the blog to talk about an aspect of her book. Thanks so much for having me on your blog today, Viv. 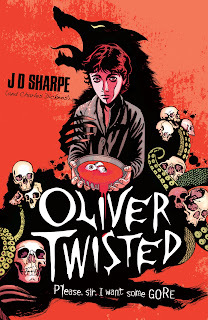 I am going to talk a bit about my favourite characters in Oliver Twisted. I have always loved the story of Oliver Twist, the musical, the book, the Disney cartoon, you name it, I’ve read or watched it! I’ve always thought how awesome it was that Dickens chose to show us a face of Victorian England that no other writer of the age was brave enough or really interested enough to do so. I think a big part of my enjoyment of Oliver Twist is the characters - they are big and complex. There is one exception, though, Oliver. In many ways, Oliver is rather static and shadowy in Dickens’s novel. What I mean by this is that Oliver is much the same person at the end of the book as he was at the beginning, although his living conditions are much improved! I feel that Oliver is a conduit for action in Oliver Twist, and an effective one at that. He is the catalyst for the other characters’ journeys, and sometimes metamorphoses, but Oliver somehow remains elusive. Indeed for large parts of the book he isn’t around much at all. So with Oliver Twisted, I really wanted the reader to get to know Oliver. I wanted them to understand his struggles and triumphs. I didn’t want to make him passive - he was going to have a measure of control over his destiny. Oliver is obviously the hero of my novel and so he has lots of traits that I admire and kind of wish I had – for example he is pretty fearless and selfless and he has that whole magic thing going on. Oliver has serious backbone, and is ultimately very stubborn, which I can empathize with just a tiny bit…. I also have a soft spot for Dodge, my re imagining of the Artful Dodger. He has been exposed to many horrors during his short life and has had to develop a really thick skin to survive. Despite all this, he manages to hang on to his humanity and when the time comes he shows his courage and his true nature which is brave and good. Also he can turn into smoke which is a skill I would find very useful indeed! I’m particularly pleased with this character and what she represents. In the universe of Oliver Twisted, ravenous creatures called woe-begottens walk the empty streets. If a woe-begotten catches your scent they will hunt you forever that is until they have consumed you or turned you into a woe-begotten just like them. . .
With the woe-begottens, I really wanted to create creatures who the reader could be scared of but also, as the story progresses, feel sympathy for as well. I like the idea that good and evil have shades of grey in this novel. Thanks so much for reading. Stay Twisted! Thank you JD Sharpe for joining us today. Great post, I'll definitely be looking out for this book. Prayer is the same practice who sometimes sees patients with RA, systemic Lupus erythematosus, is an auto-immune dis such as scleroderma or related disorders. enlarged heart and lungs. lupus often have high chances of cure. get a lot of strong-arm natural action during the operative hours.